At my old house, I had a pink rose bush that had one random yellow flower with pink tips. It was lovely, and so special! I follow intrepid thread's blog. Thanks for the chance! I follow IT on Bloglovin and Instagram. I guess I would say pink roses are my favorite. Thanks! I already follow the Intrepid Thread blog. My favorite color of roses is red. I follow the blog, but, yellow roses would be nice. My favorite color rose is the color of Matador Red, which is like an orange-peach-red color. I carried them on our wedding day. I'm following The Intrepid Thread via Bloglovin! 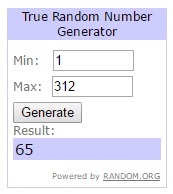 Thank you for the giveaway!! Pink roses are so pretty! I visited the shop and Strawberry Moon by Sandi Henderson looks like fun. Thanks. 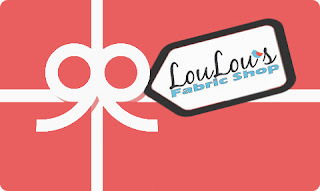 I won last week from Lou Lou's shop!!!! Yellow roses are my favorites. My favorite rose color is peach! Yellow roses are definitely my favorite. 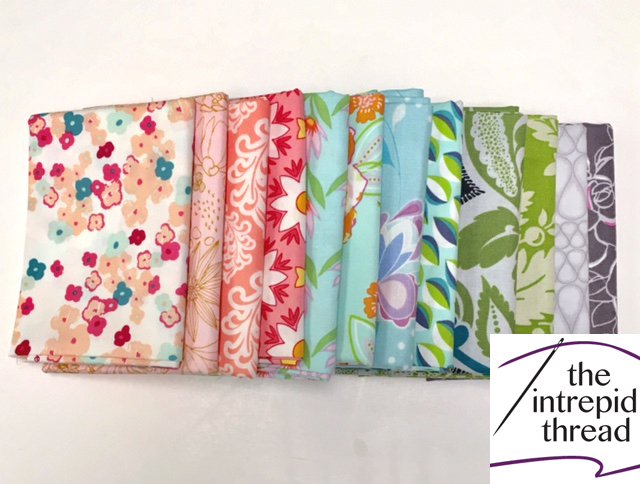 I follow Intrepid Threads on IG and just signed on for their blog. That surely is a sweet bundle! I just love coral roses...or the wild viney ones that grow along road ditches...they smell sooo good! I don't have a favorite. I love them all! I love pink roses, from pale pink to fuchsia. Thanks for the chance to win! I love peach roses with coral edges. Also, yellow. I am signed up for the newsletter and follow Intrepid Thread on IG. I love the Nightfall bundles in the shop! I follow the Intrepid Thread blog on bloglovin. I love red roses! Had not heard of Intrepid Thread before, but I will surely check it out! light purple roses smell fantastic. I love roses that are a mix of peach and yellow... so pretty! 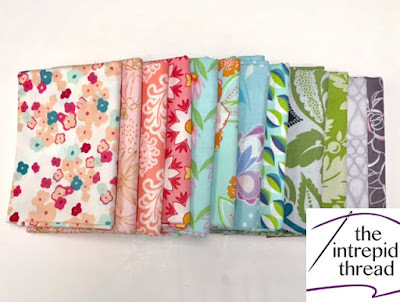 I follow HQ on bloglovin Hadn't heard of Intrepid Thread, going now to check out the sale bin. now i follow Intrepid on bloglovin too. I love yellow roses! 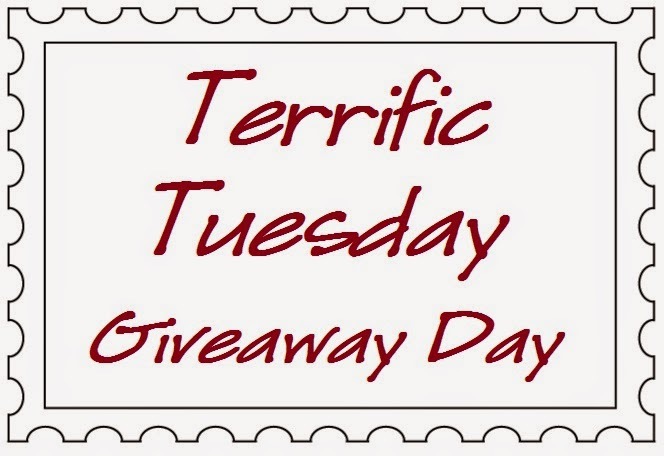 Thank you so much for sponsoring this fun giveaway. I love the very dark red, almost black roses most. Thanks for the chance! Blends, pink/purple is most common. I follow the Intrepid Thread on Blogger and on FB. Thanks to Julie for sponsoring that lovely bundle! Peace Roses are my favorite color! Kinda peachy color. My favorite Rose in my garden is my Hot Cocoa rose. It is a dark red. Red is my favorite color so red roses all the way! I follow you and Intrepid Thread on Bloglovn. Oh I love the color of pink roses. And the fragrance of purple. LOVE THE "PEACE" ROSE, A PALE PINK SHADE! THANK YOU FOR A PRETTY GIVEAWAY! HAPPY TO FOLLOW YOU+INTREPID THREAD ON FB+GMAIL ! I love red roses. My husband used to buy them for me for Valentine's Day until I seemed to have developed an allergy! My favorite color of roses is pale pink. Yellow roses are my favorite. They remind me of my grandmother. I love the orangey-peach colored roses. So pretty! I follow The Intrepid Thread on facebook and by newsletter. I get intrepid threads emails. I like salmon colored roses. I love antique rose colored roses. My favorite color rose is pink. The Peace rose is my favorite with the blend of soft gold and rosy pink! I love The Intrepid Thread, and follow them on Facebook. My favourite colour of roses is yellow. They often have the most wonderful scent! My favor color of roses is peach; I've subscribed the newsletter from The Intrepid Thread. I enjoy the Deep Red and intoxicating smell of Chrysler Imperial roses. I like the standard red rose. I like the Aqua Butterflies ribbon at Intrepid. Yellow roses are my most favorite color. Thank you, I adore white roses and pink darkening to peach roses. I receive the Intrepid Newsletter often. I love peachy pink roses. White roses are my favorites! I follow Intrepid Thread on Facebook and Instagram. I love purple roses because they always smell the best! I love Julies shop! I could live in the sale section, so much good stuff! I love variegated roses. Pretty yellows with peach or orange or pink tips. Pink and whites. I love a lavender-colored rose the very best! I love Intrepid Thread! Such creativity, love of fabric, and great customer service! I follow them by email, Facebook and bloglovin. I shop there when I can! I get the Intrepid Thread newsletter. Thanks for the giveaway. Antique Peach roses from my mother's garden are my favorite. I am following Intrepid Thread on Facebook and Blogloving. I would love the Lulu the Elephant pattern! I'd have to say yellow roses! I've always loved pink roses! I love the color of white roses! I just signed up for The Intrepid Thread emails and followed on Instagram. I love red roses. My favorite color of roses is yellow! I follow the Intrepid Thread by email for blog, and get the Newsletter , too! YELLOW Rose (of TEXAS!!) my favorite!! I'm a follower of Intrepid Thread on facebook and get their newsletter. I like pink roses the best. Thanks! Any color but black and red roses. Shades of pink are for me - thanks. I follow Intrepid Threads in all ways: newsletters, Bloglovin, IG, FB, and Twitter. Following Julie& Intrepid THread via email, FB, Bloglovin, IG. Love her shop too......best selection of AGF, Robert Kaufman and many more. My favorite roses are red roses. My mother loved Mr. Lincoln red roses and I always grow those in my garden. My favorite color of roses is yellow.Especially the variety that has a slight pink tinge on the edges of the petals! I love yellow roses -- happy and cheerful. Sonja roses are my absolute favorite. I follow them on facebook! Love them! I love any coloured rose, but yellow would be my favourite! I follow Intrepid thread's blog and on FB. I really love pink roses. Red roses. Julie makes up the best looking bundles! I follow IT blog via feedly. I love Julia's Rose - it's a sepia antique shade, other than that - any yellow rose! Deep, dark red roses are my all time favorites! I carried yellow roses on my wedding day and grow them in my garden. I love red roses of all hues. I already follow The Intrepid Thread on Facebook & their blog. I sucscribe to their newsletter!